Bali Huts are fun ways to inject a tropical feel into any backyard. Not only do they look great, but they come with many added benefits such as offering shelter, so you can enjoy the outdoors all year round and a great place of tropical tranquillity to relax or somewhere fun to host a gathering. 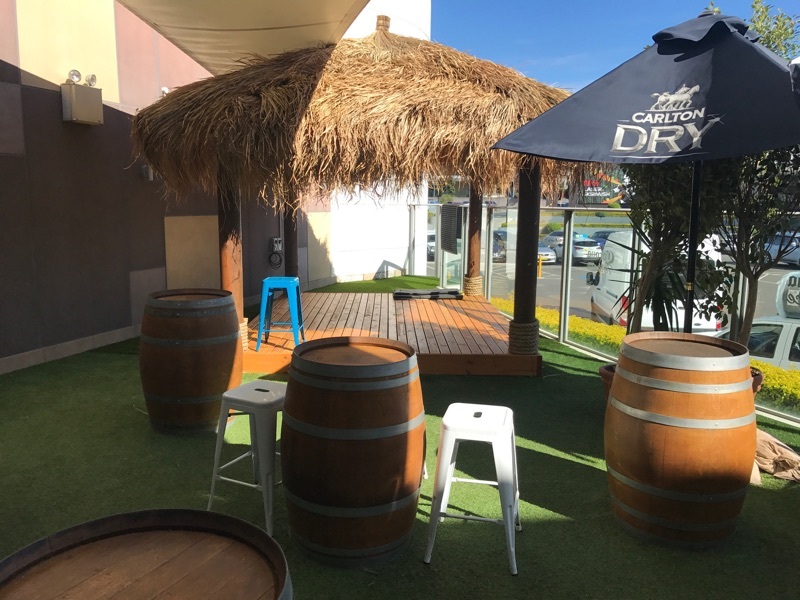 Before you make that Bali Hut purchase as part of your backyard renovation, there are a few things to consider before knowing which is the right one for you. Here’s our Bali Hut buying guide to help you determine which one will best suit your space and needs. The size of your backyard, your budget, and what you want to use your Bali Hut for will all have an effect on what size you should opt for. Even smaller backyards can enjoy a Bali Hut, as Aarons offer them as small as 3m x 3m. Wanting a place to sit and relax? Then 3m x 3m may be ideal. If you want somewhere to place a hot tub, then go a little bit longer and wider than the tub. Plan on doing a lot of entertaining? If you plan on hosting large parties, then a larger Bali Hut will be a great place to gather with enough space for some outdoor furniture. More intimate get-togethers would do well with smaller Bali Huts. Not sure what size you need? Then consult the outdoor experts at Aarons Outdoor Living. We also offer custom-made sizes from 3m x 3m to 4m x 5m and everything in between, so we will always have a Bali Hut that suits you! If you’re going to invest in a Bali Hut, you want one that is built to last and will look great too. The materials used in its construction should only be of the highest quality, able to withstand the sometimes-harsh Australian climate. For the most natural look, as if your Bali Hut came straight from Bali, then natural materials should be used! This also comes from sustainable sources, unlike many synthetic materials. Aarons Outdoor Living use only the highest-grade materials, including imported Alang Alang grass for the roof. The grass also allows for natural air flow, keeping you warmer in the winter and up to 10 degrees cooler in the summer. It also comes with the additional benefit of being waterproof, meaning you, your guests and your outdoor furniture stay dry, leaving you to enjoy your Bali Hut no matter what the weather. If the ground in your backyard is prone to becoming muddy, uneven, or not ideal in any way, then you can still enjoy a Bali Hut with an additional deck. This will help keep you, guests, and furniture up off the ground and onto something solid. Bali Huts look great with decking too! Bali Huts are unique with their natural look to give that tropical island paradise feel. The usual wood look will go with the Alang Alang grass perfectly. If you want to keep that look, then choose a natural finish. Aarons Outdoor Living offer this which leaves a lighter colour as well as a Golden Cedar stained finish that is slightly richer in tone. Your Bali Hut can have additional customisable features that make it perfect for you. Adding stairs or a ramp ensures the Bali Hut is accessible to everyone, then choose some decorative options like a fancy terracotta crown or manila rope for even more of an island feel. Aarons Outdoor Living has this and more ways to customise yours. Finally, you will want to make sure your Bali Hut comes with a solid warranty. Aarons Outdoor Living has a 12-month warranty on our Bali Huts, giving you peace of mind about your investment. We’re confident that our use of high-quality materials and exceptional construction and service will go beyond any expectations! Bali Huts are fantastic additions to any backyard! You can order yours today with Aarons Outdoor Living. Our Bali Huts can turn spaces into your personal paradise. With various sizes available and the highest-grade materials used, a Bali Hut from Aarons Outdoor Living will suit any backyard. Contact us today to discuss your requirements and for a detailed quote.